I just spent most of this week unloading boxes of our life from the sea container that just arrived form Japan and the storage unit of everything we didn’t take with us. Suffice to say, I now have a lot of personal 5S to accomplish (lots more more unpacking, sorting, organizing, throwing away, and hopefully sustaining the cleanliness) over the next week. As a break from the unpacking today, I blocked some desk time to catch up on work-related tasks and reading. Writing this blog post wasn’t on my list, but I was inspired by two articles on A3 thinking published this week in the Lean Post. CLICK HERE to get a curated PDF of 10 Toyota leadership lessons that Mr. Isao Yoshino has shared with me. One was written by John Shook and the other co-authored with him by my friend and mentor from Japan – and Shook’s first manager at Toyota – Mr. Isao Yoshino. 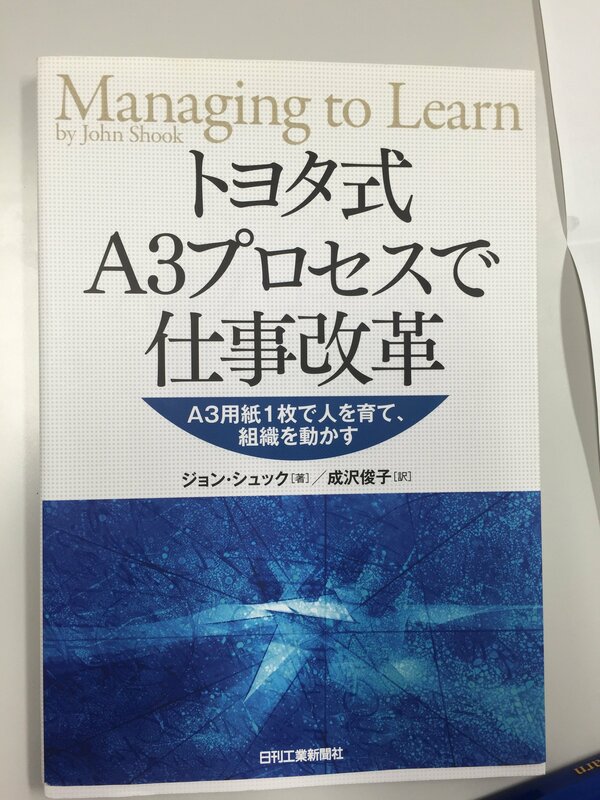 Yoshino was also one of the models of “manager as coach” that Shook used in his book “Managing to Learn” about the A3 thinking process. The articles are timely, as my head is already immersed in A3 thinking right now after coming off of presenting A3 thinking for personal improvement at the Lean Coaching Summit (one of my tasks today was to start a draft blog post about the personal A3 thinking process), and also gearing up to teach A3 thinking through the Thedacare Center for Healthcare Value now that I’m living back in the U.S. I had a few other to-do’s on my list today, but I the articles got me thinking so much that I felt compelled to write about them right now! I also smiled seeing the photo of Shook and Yoshino in Yoshino’s office in Nagoya, as it reminded me of many hours in that same seat talking with Yoshino about leadership, coaching, and life. 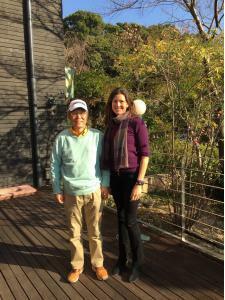 Despite spending many days over the past two years talking with Yoshino, I’d not heard the details about his role in the Kan-Pro program, and that it and A3 thinking was specifically developed to a manager-development program for knowledge workers! Interestingly, in several of my conversations with him, Mr. Yoshino shared with me that that TPS is not used as much in the non-production areas of Toyota (e.g. in knowledge work). This observation was also echoed by the TPS Promotion Office director that I spoke with at the Toyota plant in Kyushu last year. I think now that Yoshino meant specifically sales and marketing – the parts of the company that were excluded from the Kan-Pro program – when he said that A3 thinking was not as advanced in Toyota’s office work environments, and that A3 thinking was practiced more by the administrative managers on the production side. I do recall now him making a comment that front-line managers on the shop floor didn’t have time to do A3s. They were in the gemba and could see the problems. It was higher level managers that generally did A3s. I want to follow up with Yoshino when he visits me in California next month to better understand the history and current practice of A3 thinking at Toyota. The word INTENTION is critical here (and as regular followers of this blog know, “intention” is an important word to me). We have to be clear and purposeful about how we work and, as Shook shares, make our work visible. In knowledge work, we have to be that much more intentional about how we make work visible so that we can all understand what is going on. On the shop floor (or where the “work” is physical), it is easier to see what is going on. It’s not about the tools. It’s not about the name. It’s not about the template or size of paper. It’s about the learning, the improving, the experimenting, the failing, the learning more, and continuing to close the gaps in where we are and were we want to be. Thank you to Isao Yoshino and John Shook for both of their reflections on history and for their role in deepening my own problem solving and improvement process. 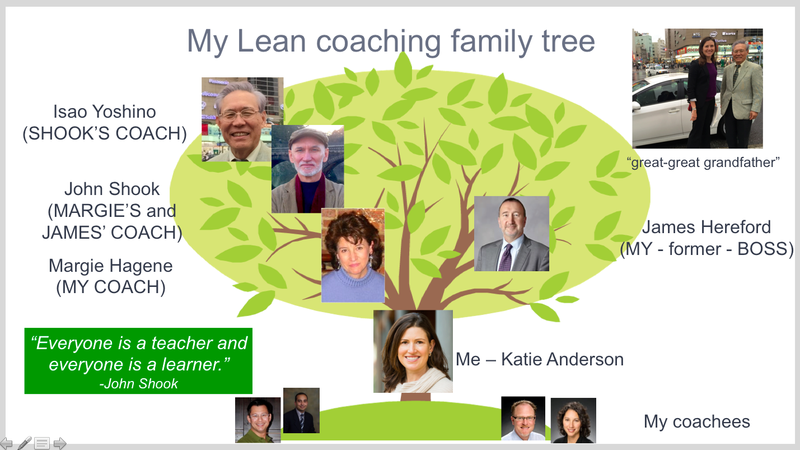 You are both key people on my personal “coaching family tree”! 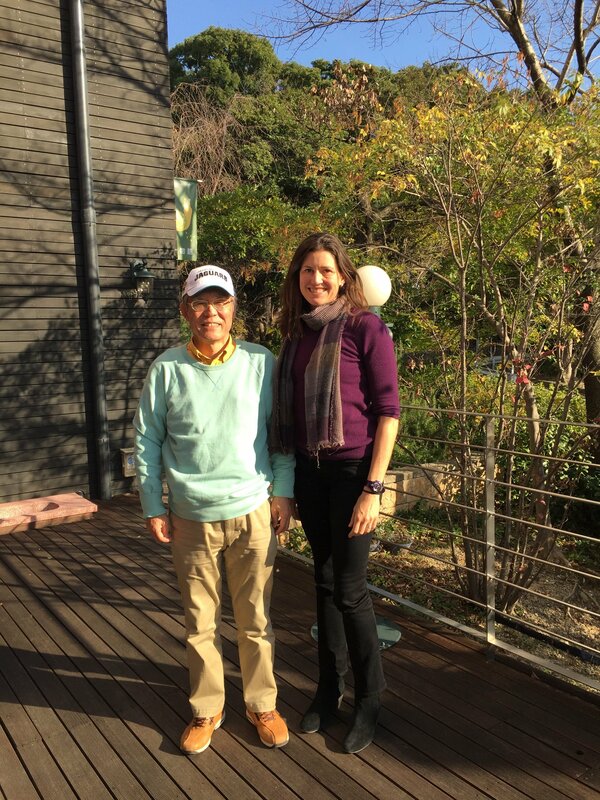 If you want to learn more wisdom about Lean and leadership practices at Toyota from Isao Yoshino, I’ve written extensively about my conversations with him in Japan over the past two years. I hope you enjoy these articles and words of wisdom from Yoshino-san! What do you think of the articles about the history and pratice of A3 thinking that Shook and Yoshino describe? 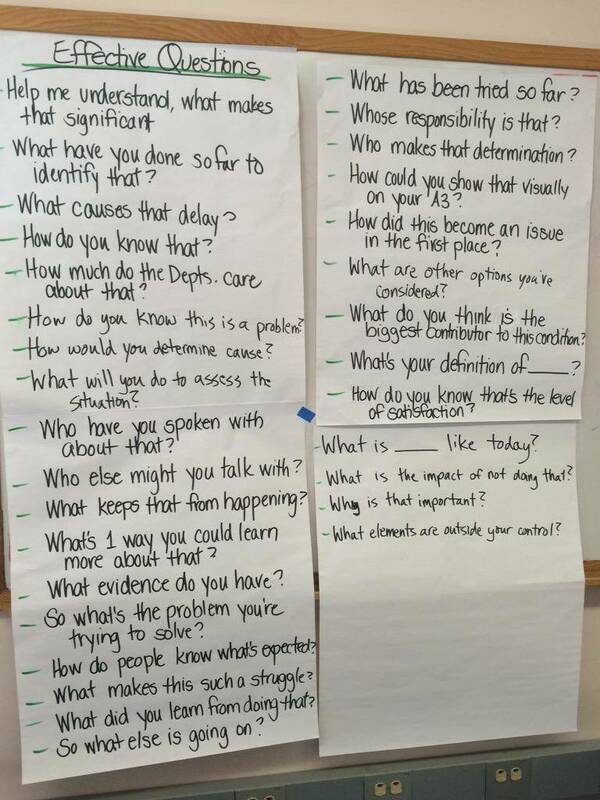 Do you practice A3 thinking? What are your insights and reflections on your practice or experiences? Please leave your comments and reflections in the space below. And if you have any questions that you want me to ask Mr. Yoshino when I see him in September, please leave them here too. 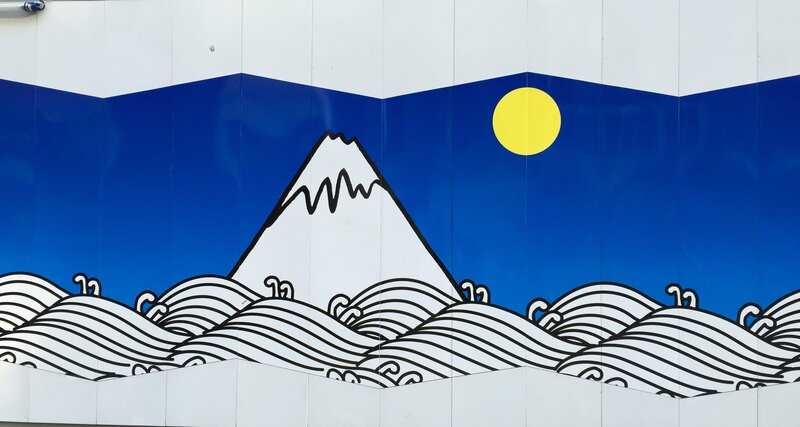 As always, I welcome your comments of what you are thinking about or what questions you have as I explore topics of leadership, Lean and life in Japan (and beyond).